Live television is unlike any other emotion I have experienced in this world. Over the past ten years, I have gotten to photograph a handful of celebrity weddings, a destination Italy wedding on the shores of Lake Como, attended the Super Bowl as Verizon's event photographer, and even flown into the depths of the Amazon for a wedding adventure in Lima, Peru. Of all of these are absolutely incredible experiences but none of them had my adrenaline racing quite like capturing the first kiss on live tv in front of a national audience. 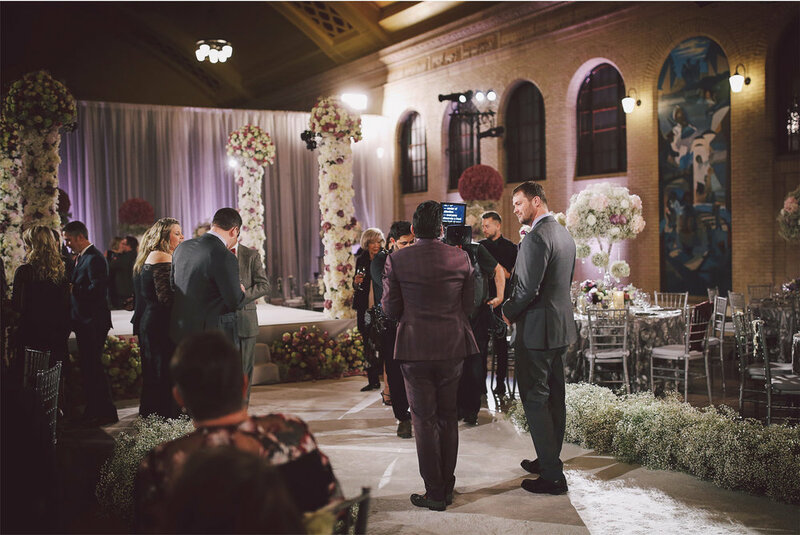 I want to give you a look into the amazing behind the scenes of photographing a wedding on live tv on the Lifetime Network, working with an international wedding planner, star, and host, 75 production crew and set artists, and two people with a love story that makes you grab for the tissue box. Minnesota may never see anything quite like this again. Jen and Rob’s ceremony was set for 9:00pm on a Tuesday and we would fit the greatest hits of a wedding into that one-hour live show. 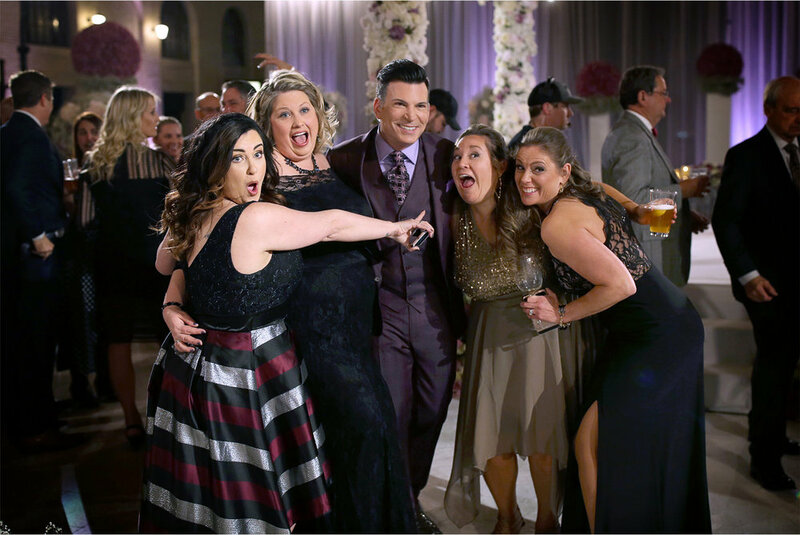 The jaw-dropping concept behind My Great Big LIVE Wedding with David Tutera was to carefully select a handful of couples who have persevered through some of life's hardest challenges and some of our biggest national disasters to show that love wins no matter the odds and gifting them the wedding of their dreams. The chosen few include a war hero amputee learning his first dance, the victim of a racial hate crime that took the mother of a groom, and here in Minnesota, ambassadors for cystic fibrosis and donor awareness and the survivor of a successful lung transplant. Enter the remarkable, Jennifer and Rob, who accidently stepped into the limelight when Rob posted a video of Jen’s first breath with her new lungs that went viral. A crew of 75 flew into St. Paul the weekend before the big day to get settled in, survey Union Depot, and run a rehearsal to ensure the show would be perfect. I met with the producers the day before to get a lay of the land and see the set. 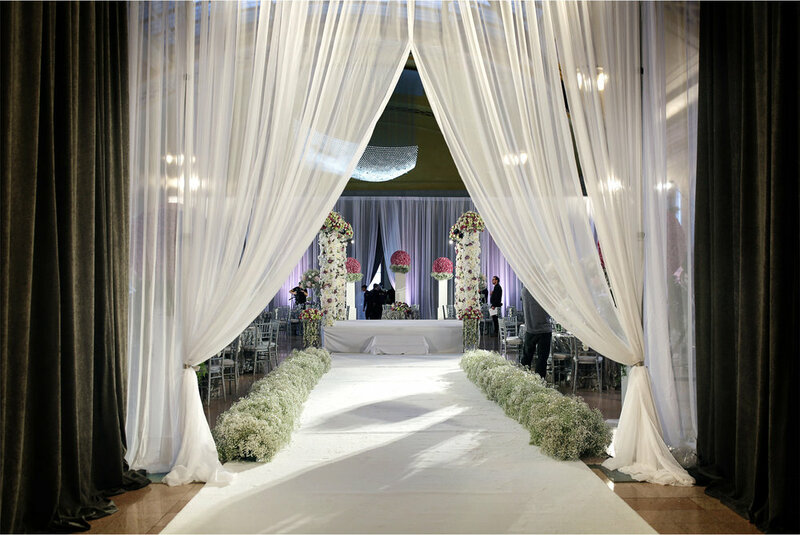 There was added buzz that David Tutera came here early to make sure this story was told to perfection. The show teamed up with amazing local talent and 9,000 roses were shipped in to create David's vision. The Depot is an active rail station for Amtrak so every so often gawking audiences with luggage would make their way past the set and proceed up to the tracks to catch their trains. Upstairs, two rooms were on lock-down with one being the filming quarters for the groomsmen and the second being the bridal suite where Jennifer had not see her dress that David had picked out just for her. Guests were asked to arrive hours in advance for a cocktail before being escorted to the ceremony filming site. The set was beautiful and unique and the perfect place for their first look at the altar. During filming, David orchestrated the look and feel of the show to utter perfection. He also designed special dresses that would be made available after the show aired and named for each bride. The only dress he didn’t name after a brides was Jennifer’s. Instead, he honored her lung donor, and named it Lacey. Can you bring the tissues now??? Let's just say when that was announced, there was not a dry eye in the audience. The entire wedding was a surprise, with David taking the couple's ideas, spirit, and story into account and then unveiling all these amazing surprises and special touches throughout the show. Jennifer had never seen her dress, learned the venue location days before, and the color pallet and design was revealed that day. The only thing she did pick was me, her photographer! What an incredible honor! We were each other's security blanket as our nervous smiles pierced the dark corners of the tv set with authentic excitement and like kids at Christmas. Fog machines filled the aisle and the kids emerged silhouetted before starting the processional. David was there coaching Jennifer to feel each breath before she floated down the aisle to her groom. After filming was wrapped, the crew faded into the side rooms to pack their gear. The producers stayed to make sure the event moved along and the aisle became the dance floor as our local Adagio DJ rocked it. Family photos started at midnight and Union Depot extended their hours to 12:30 to give guests a little more time to celebrate. As the midnight trains blew their departure whistles, we all headed into the snow to the tiny bar, Kelley's, next door for a special moment I will not soon forget. Upon arrival we were greeted by some of the crew, and some newly adoring fans of the show. The bartender turned the tv to Lifetime just in time to catch the re-run airing of their episode of My Great Big LIVE Wedding. Jen and Rob watched in awe, cuddled into the sweet moments, laughed, and all of us raised a glass to the wedding of a lifetime! 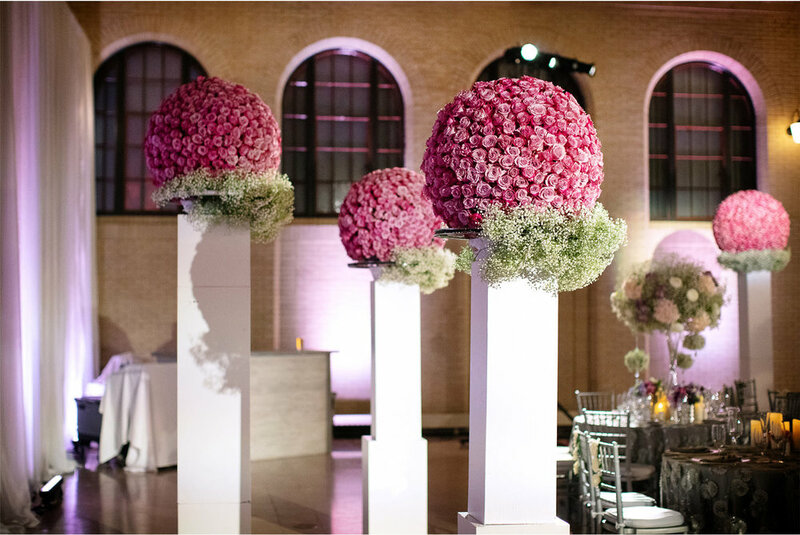 Feeling inspired and want to plan your own dream wedding? Book a meeting with us to get in on your own ‘behind the scenes’ moments and don’t miss Jen and Rob’s episode on Lifetime! 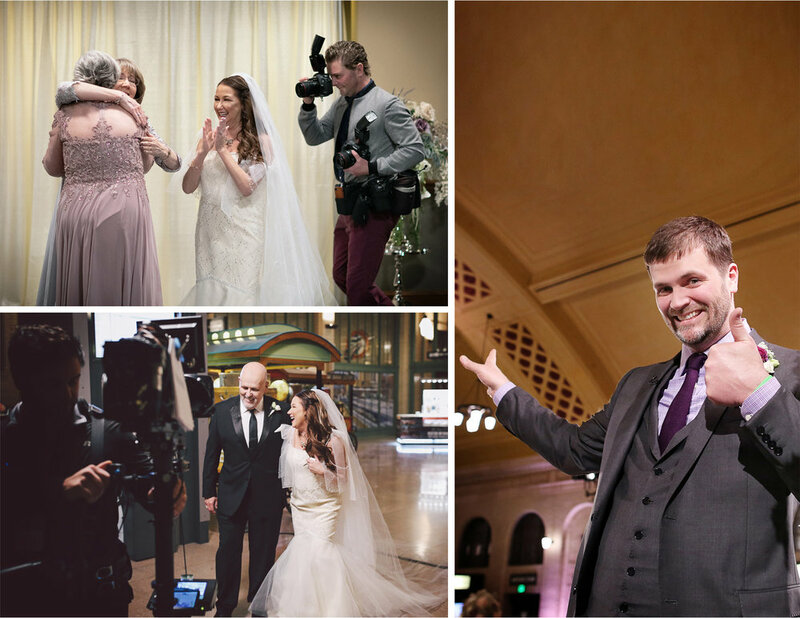 Jen & Rob: My Great Big LIVE Wedding!